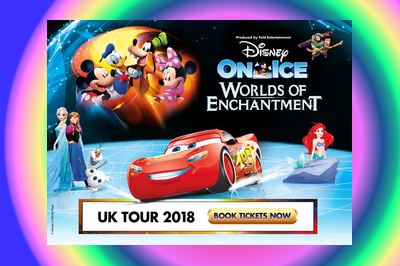 Disney on Ice present Worlds of Enchantment 2018 at the SSE Wembley Arena London in April. 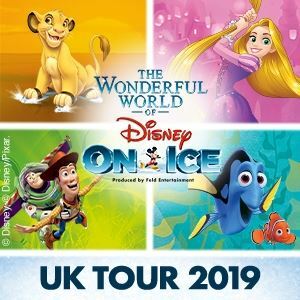 Arriving with perfect timing for the Easter holiday season, the amazing skaters from Disney on Ice will be putting on this fantastic new show. Drawing from a host of classic Disney films some of your favourite characters will be there from Frozen, Cars, Toy Story and many more. With brilliant routines, fabulous songs and amazing costumes Disney on Ice is an event not to be missed. 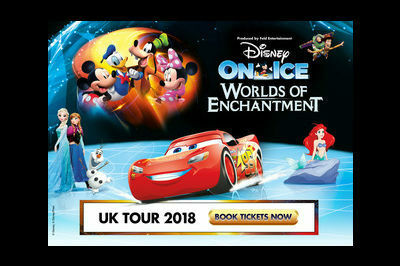 Disney on Ice are back in 2018 with World of Enchantment. 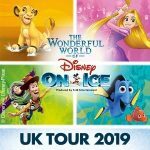 The award winner ice skating event is fun for all the family and this 2018 tour kicks off in March at the SSE Hydro in Glasgow and runs until May 2018. Tickets will be on general sale from Friday 20 October 217.